Posted by NirSoft on October 25, 2012 at 2:40 am under Utilities Update. A few years ago, I wrote a Blog post about false positive problems that I have in many of my tools, and I received many responses from users and developers that experience the same problem. Today the false positive issues still exist, but it seems that people are more aware to the false positive problems, because I get less complaints about virus alerts in my software than what I have gotten in the past. Some of my tools have 2 different builds – one for using on 32-bit systems and one for using on 64-bit systems. 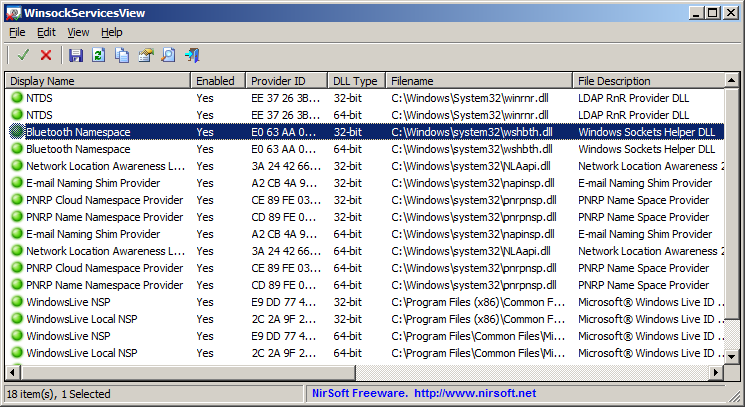 WirelessKeyView is one of these tools that is available in 2 builds – 32-bit and 64-bit. Both 32-bit and 64-bit builds of WirelessKeyView are compiled with exactly the same code and the same compiler options, and naturally they also do exactly the same actions. The only reason for creating the 64-bit build is because WirelessKeyView injects code into a system process in order to get the wireless keys, and 32-bit process cannot execute code on 64-bit process. Many people think that VirusTotal Web site can be used to find out whether a software is good or bad. Google probably thinks that too, because just recently they purchased this VirusTotal Web site. But the above sample proves that it’s not correct. WirelessKeyView is a completely legitimate software to get the wireless keys stored on your own system and to move your wireless keys from one compueter to another. As opposed to many other “Freeware” distributers, my software doesn’t send any personal information, doesn’t install any unwanted toolbar/spyware/malware, and doesn’t make any change in the Registry, so there is no any good reason to warn and scare the user who downloads my software. 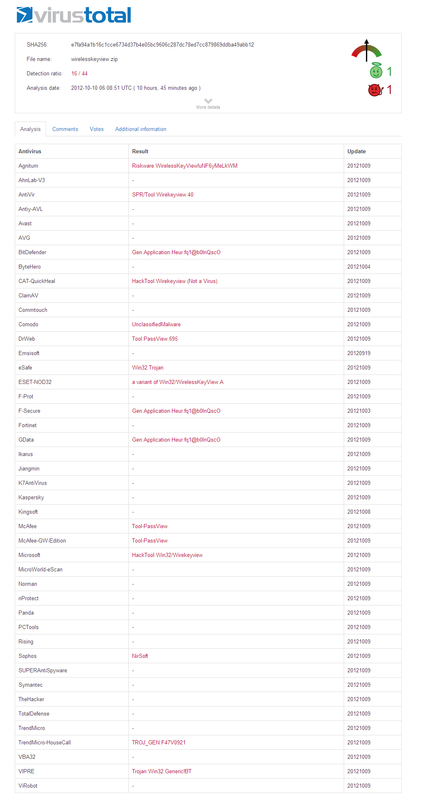 If the 32-bit version of WirelessKeyView triggers 16 Virus alerts, you may expect that the 64-bit of WirelessKeyView , which is compiled from exactly the same code will also trigger exactly the same 16 Virus alerts. 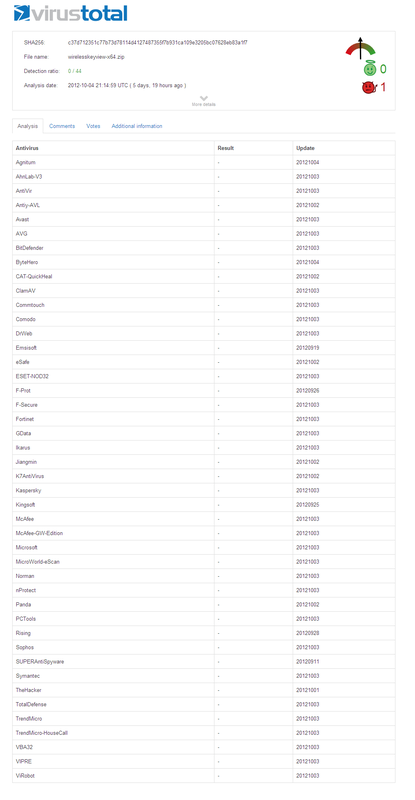 So here’s the surprise… The number of Virus alerts of WirelessKeyView 64-bit is zero !! Yes, there is no even a single Virus alert ! So what is the explanation for the difference between the alerts of 32-bit and 64-bit versions ? 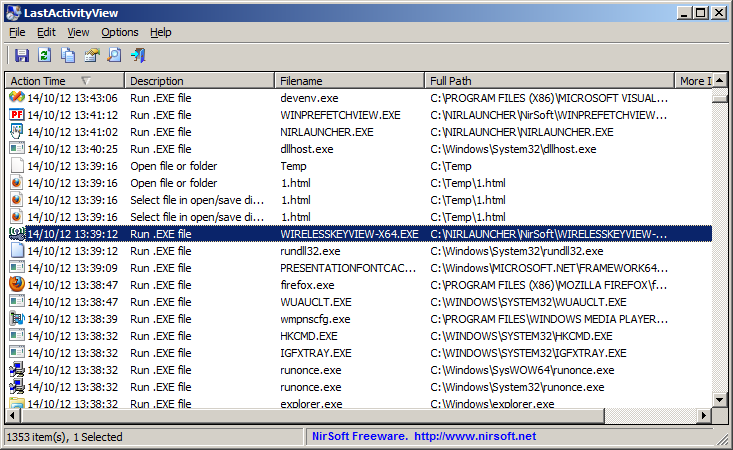 while the 64-bit version (wirelesskeyview-x64.zip) has been downloaded only 50,799 times. So maybe the 32-bit version of WirelessKeyView get false alerts simply because it’s much more popular than the 64-bit version ? When a download is more popular, there is an higher chance the somebody will use for bad purpose and the Antivirus company will get a report about that, for example: A person allows his good friend to access his computer, but his friend uses it to run WitelessKeyView 32-bit and get access to some wireless networks that it shouldn’t have access to. When this person discovers that his wireless keys have been stolen by his “friend”, he send a complaint to the Antivirus company with a sample of WitelessKeyView. In the next day, the people of the Antivirus company decide to set an alert for WitelessKeyView in order to prevent future wireless key stealing. But now many people who want to download WirelessKeyView 32-bit for good purpose, like recovering their own wireless key or moving it to another computer, get a warning from their Antivirus software or from VirusTotal Web site, without understanding the reason of getting this alert. On the other hand… if somebody tries to use WitelessKeyView 64-bit for bad purpose, the Antivirus won’t show any alert, simply because the 64-bit version is less popular and nobody complained that it has been used to steal wireless keys. So 16 alerts is a little better than 23 alerts, but it’s still too much. Posted by NirSoft on October 10, 2012 at 7:56 pm under Antivirus Issues. WinsockServicesView is a new utility that displays the details of all Winsock service providers installed on your system. For every Winsock service, the following information is displayed: Display Name, Status (Enabled/Disabled), DLL Type (32-bit or 64-bit), DLL Filename, DLL Description/Version, and Created/Modified Time. For more information about this new utility, click here. Posted by NirSoft on October 3, 2012 at 5:35 am under Utilities Update.